Today we are talking to Jennifer Fowlow from the Wild North Flowers, a member of the Live Green Perks program. Why should a consumer choose your products or services over mainstream/non-green florists? Our studio uses solely Ontario grown flowers to create custom floral arrangements while supporting local growers and farmers. As a small business we have complete control over our eco-footprint and are constantly finding new ways to be as green as possible. In the floral industry there is lots of waste and at Wild North one of our main goals is to be innovative in our green efforts. Today we are talking to Maureen Bradshaw from the Lovbird Design, a member of the Live Green Perks program. Why should a consumer choose your products over non-green options? My shirts are made of 100% GOTS certified organic cotton and with eco-friendly dyes. The Let Go long sleeve t-shirt and the Laugh Like Buddha t-shirt. When farmers spray cotton with pesticides, it makes the people and animals in the area very sick. Today we are talking to Emily Charles-Donleson from the Toronto Tool Library & Sharing Depot, a member of the Live Green Perks program. Why should a consumer choose your products or services over a mainstream/non-green option? Borrowing from a library of things is a convenient way to get access to the things you need without the price tag or the clutter, all while lessening your environmental footprint. To use a drill as an example, according to research into tool use, the average drill is used for just 13 minutes in its useable lifespan. The rest of the time, it sits depreciating in basements, garages or storage units. When we think about the rare earth minerals, materials and other resources that get used up in the process of making and distributing that drill, it seems like a colossal waste to have every house on the block or unit in a building storing a drill that is only needed for occasional use. Not to mention the waste of money and space in our homes involved in purchasing and storing such items. The Toronto Tool Library frees people from having to purchase things to own and instead gives them access to tools, camping gear, board games, event supplies, children’s toys and sports equipment when they need them. We handle the storage and the maintenance of the inventory so people can focus on experiences rather than stuff. People borrow from our library because they want to live in a clutter-free home, they want to save money, they want to support their community, and they want to ensure a planet for future generations to come. The revolution will not be bought, it will be borrowed. People can purchase a membership for friends and family to the Toronto Tool Library & Sharing Depot, encouraging them to shift their behaviour away from the consumption of new products towards sharing as a community. Workshops taught in our Makerspace can also be purchased as gifts and many of these revolve around upcycling materials and zero waste alternatives to disposable products. Another popular gift item is to purchase time with one of our expert 'Tool Ninjas' who will do one-on-one training in tool use or walk someone through building a project. As a culture, we are becoming increasingly aware that the individual consumption of products connected to the infinite growth model of economics is at the heart of many of our environmental issues. Recent research has suggested that household consumption is responsible for 60 to 80 per cent of the impacts on our planet. Do we really need to own all the things we buy, or is there a way to share stuff we only need access to occasionally as a community? Do we really need the stuff or the use of the stuff? The Toronto Tool Library & Sharing Depot is our solution to those questions. Now with three locations around the city, we launched our lending libraries as an opportunity to reimagine our relationship with the things we use. By borrowing instead of buying, people are changing their behaviour around the consumption of products, simultaneously saving money and lessening their environmental footprint. Why buy tools, camping gear, board games, children’s toys, event supplies and sports equipment you will only use occasionally when you can share it all together as a community through the Toronto Tool Library & Sharing Depot? We launched these lending libraries as a way to help people understand: I do not need a drill, I need a hole in the wall. Experiences > stuff. Today we are talking to Emily and Rebekah Okashimo from Urbivore, one of the newest additions to the Live Green Perks program. Connect with your practice on a deeper level with all natural cork yoga alternatives. Not only is cork good for you and our planet, it also makes the perfect yoga companion. Free from harmful chemicals and PVC’s, cork is naturally self-cleaning and inhibits bacteria, mould and fungal growth meaning a clean and fresh smelling mat all the time. Did you know that no trees are harmed either? Cork is harvested from the regenerative bark of cork oak trees and actually absorbs more carbon dioxide and releases more oxygen into the atmosphere when stripped of their bark. Our cork yoga mat is by far the most popular item in our shop. The positive feedback from our loyal yogis is all the motivation we need to continue spreading the word and encouraging more yogis to make the switch. One of the best features is the non-slip grip cork provides! Truly connect with Mother Earth and let the strength of the Earth ground you in those hard to hold poses. With cork, the more you sweat, the better your grip! We encourage our yogis to “stretch yourself” meaning, open your mind and heart to a more conscious way of living. Just as we practice in yoga, stretching opens up new spaces in our bodies to bring our focus and breath to. It means bringing this new awareness to your everyday life. We are true believers that everything you do makes a difference. No matter how great or small, our choices add up. Collectively, our decisions have the power to change the world! Napolean Hill once said, “If you cannot do great things. Do small things in a great way.” This is the ethos with which we built the Urbivore on. Today we are talking to Sorab from Inde-Art Design House - Custom Furniture & Cabinets, a member of the Live Green Perks program. Why should a consumer choose your products over a mainstream/non-green option? Many of our products are made from salvaged or reclaimed wood. What are the most popular eco-friendly gifts people can buy from your store? Reclaimed teak wood panels for new or existing cabinets, including IKEA. Our products are good for the planet, look beautiful, are unique and one-of-a-kind. 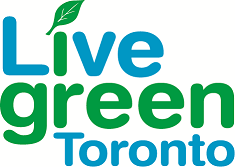 Today we are talking to Maurice Bitran from the Ontario Science Centre, which offers one of the most popular deals on the Live Green Perks program. What's new and exciting at the Ontario Science Centre? Easy TTC access and Eglinton Crosstown coming! The Energy Show highlights how renewable energy sources can make a difference. What is a unique, eco-friendly gift that people can buy at the Ontario Science Centre? The Gorilla Store at the Ontario Science Centre supplies industrial surplus components (saved from the landfill) for maker projects. We promote scientific literacy and curiosity, which will spark the current generation to solve our current and future environmental challenges. Today we are profiling Mario Fiorucci from The Healthy Butcher, a member of the Live Green Perks program. Why should a consumer choose your products over those from mainstream/non-green butchers? We don't just sell organic, we curate the best of the best - whether it's meat, fish, produce, or grocery items. Gift cards, classes, and meat boxes. Sustainability - we simply can't keep going the way we are going, depleting the nutrition of our limited amount of soil, destroying our oceans, and polluting our air. Our focus is on food, which has a direct impact on personal health and Earth health. Today we are talking to Tori Vaccher from Tori's bakeshop, a member of the Live Green Perks program. They are organic and all natural ingredients made with love in an eco-conscious space with compostable packaging. Our vegan cinnamon buns and gluten-free donuts. It's important for my business ethics to match my personal ethos. Today we are talking to Gail Burgin from Rescued Bears, a member of the Live Green Perks program. Why should a consumer choose your products over mainstream/non-green options? Rescued Bears is the embodiment of "reduce, reuse, recycle" as everything from their clothing and the bears themselves have been rescued from being thrown away. The bear with hand-knit sweater. All proceeds from sales go to support West Toronto KEYS. They help adults with intellectual disabilities teach their full potential and every single adult I have met loves bears. Today we are profiling Jo Ann Fawcett of Pure Health, Natural Health Care Solutions, a member of the Live Green Perks program. We use Canadian made, USDA approved Seaflora Skincare for our facials. Its local, organic, not tested on animals. We also carry Toronto made Firoza soaps and body cremes. These natural soaps are made here in Toronto, with simple paper packaging that can be recycled, little carbon footprint as we can buy small batch orders and hand delivered. Seaflora Body Gel, Seaflora Rich Laminaria face moisturizer, Firoza natural handsoaps. We love supporting Canadian products that have been produced with thought, integrity and safe ingredients. We believe in supporting the brilliant minds here in Canada that produce world class quality products in our own backyard. Supporting small businesses helps support communities and employ people with quality skills for producing savvy products. Today we are profiling Ran Goel from Fresh City Farms, a member of the Live Green Perks program. Why should a consumer choose your products over a mainstream options? Fresh City is the local, healthier option for fresh food. What are the most popular eco-friendly gifts people can buy from you? Our meal and salad jars. We can and deserve to eat better food. We put a man on the moon and a supercomputer in our hands, surely we can figure out how to eat food that doesn't poison our bodies and planet. Today we are profiling Salvatore G.F Crimi from Relic Creations T.O., a member of the Live Green Perks program. One is they will be supporting a private family business managed by my fiance and myself. Another is you will be helping to keep wood and other building materials out of landfills. By not chipping wood, the carbon that was trapped by that tree stays in the material when preserved. In landfills the carbon is released during the decay process and will, in turn, hurt our fight against climate change. I am a design-build company for artisan home furnishings from reclaimed materials, mostly people purchase light fixtures, coffee tables and tables. But I can produce anything a clients imagination comes up with. Because climate change is a serious challenge that effects us all, this helps me contribute in a small way. And its plain common sense for me to use perfectly good reclaimed materials in my creations.